Tensors are classically studied objects in mathematics that find numerous applications in several scientific fields, where they provide, as natural generalization of matrices, a mathematical description of physical systems, as well as a tool to represent hierarchical data sets and a representation of computational algorithms. This omnipresence of tensors in turn has motivated the study of their mathematical properties in such diverse areas as multilinear algebra, geometry, algebraic complexity theory and numerical analysis. In the context of quantum information theory and quantum many-body systems tensors have entered the field from many different point of views. In terms of tensor-networks, they provide efficient Ansatz-classes for trial states for numerical optimizations, as well as an analytic approach to quantum many-body systems. In the context of entanglement theory, tensor-rank classifies different classes of multi-partite entanglement. More generally, tensor rank and the related border-rank can be used in order to study the asymptotic interconvertibility between different quantum states. Furthermore, the complexity of algorithms and communication protocols can be rephrased in terms of tensor rank. An overarching scheme in all these approaches is the question on the minimal resources needed to represent the tensors involved, typically in terms of the tensor rank, border rank or bond-dimension. However, in contrast to matrices, determining the rank of a given tensor is usually a hard problem and even obtaining tight lower and upper bounds is often out of reach for the methods available today. For this reason, this Masterclass brings together experts from different fields of tensor theory in order to explore the different aspects of tensors in science. 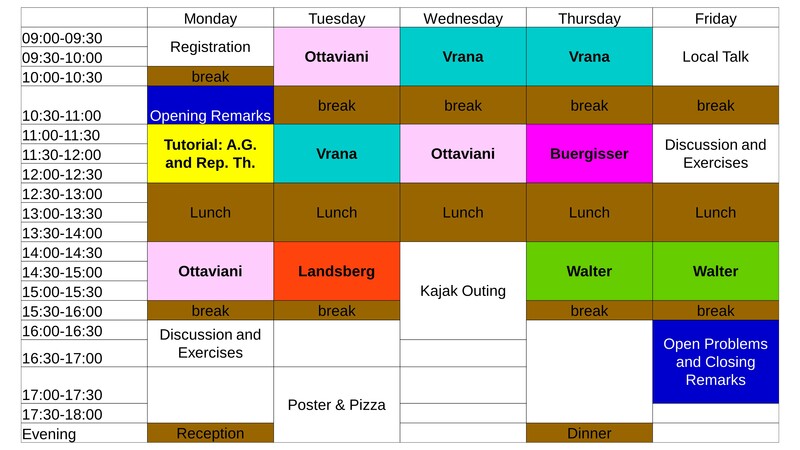 This master class aims to provide an overview of the latest developments and open problems in the field of tensor methods in the context of quantum many-body systems and quantum information theory. It will include minicourses by experts in these fields and additional lectures by both local and external speakers. There will also be significant opportunities for direct interaction. The primary aim is to expose graduate students and postdocs to the latest research on some of the most important open problems in this field. More senior researchers are also encouraged to apply. By the end of the course, the participants will have acquired an up-to-date overview of some of the latest work in these areas and should be prepared for further study as well as embarking on research projects on their own. The master class will take place at the University of Copenhagen, Denmark. Copenhagen is a beautiful harbor city, famous for being among the safest and most enjoyable places to live in the world. Participants of the master class will have the opportunity to explore the city from the water during an excursion. Conveniently, May and June are the sunniest months of the year in Copenhagen, with days lasting nearly 17 hours. 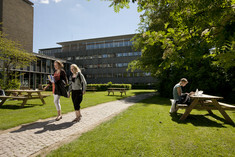 The QMATH group is located at the MATH department in the H.C. Ørsted Institute across the park. Directions to the MATH department, and several other useful locations, can be found here. We recommend Hotel 9 Små Hjem, which is pleasant and inexpensive and offers room with a kitchen. Another inexpensive option is CabInn, which has several locations in Copenhagen: Hotel City, Hotel Scandivania, and Hotel Express. Somewhat more expensive, and still recommended, options are Hotel Nora and Ibsen's Hotel. PhD and Master's students have the possibility to apply for funded accommodation. In addition, there is a limited number of rooms available at a special rate. An on-line application is required to be able to participate in the master class. The on-line application is now possible. The application deadline is March 30 2018. Participants will be selected on the basis of the applications. For PhD students, indicating the e-mail address of an academic supervisor is required, as well as a motivated explanation of the interest in the workshop. The master class is worth 2.5 ECTS.